Cutest Vanity Tables for Girls! What are The Best Vanity Tables for Little Girls? Are you looking for a super cute vanity table for girls? Little girls love to pretend they are princesses and they love to ‘get pretty’ just like mommy does! 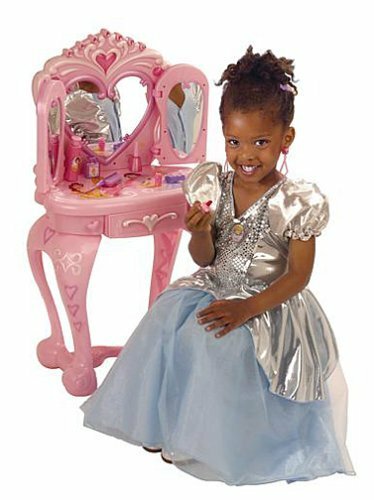 When they sit in front of their cute vanity table and comb their hair in front of their cute mirror, they do believe they are a true princess! *This one is so adorable! 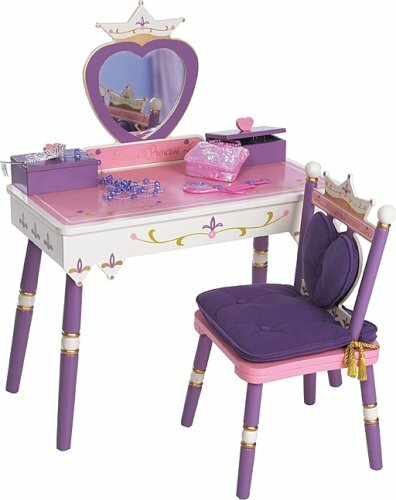 This cute purple vanity table for girls is considered by parents one of the best vanity table for little girls available! They say it is extremely cute, durable and make their girl’s bedrooms gorgeous! They also love the ‘royal’ looking chair! What sold me on this one was the cute heart-shaped mirror and purple heart-shaped cushion! And it also plays music! Cute vanity tables make awesome Christmas gift ideas for little girls! They look beautiful in a little girl’s bedroom too, complementing the decor! I selected the best vanity tables for girls based on their popularity, looks, colors and overall parents satisfaction! 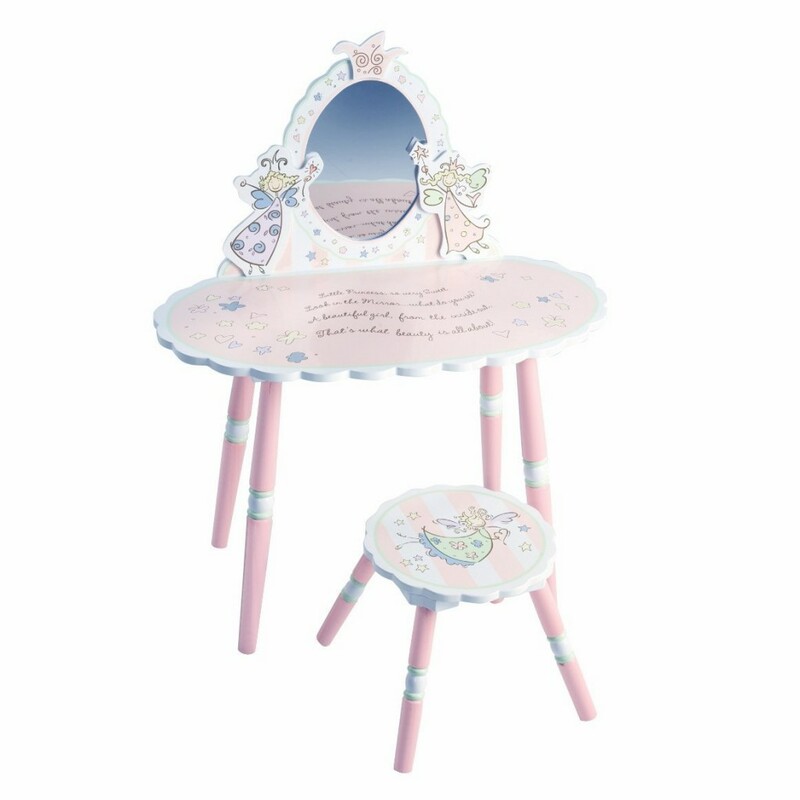 Lovely Fairies Vanity Table for Toddler Girls! 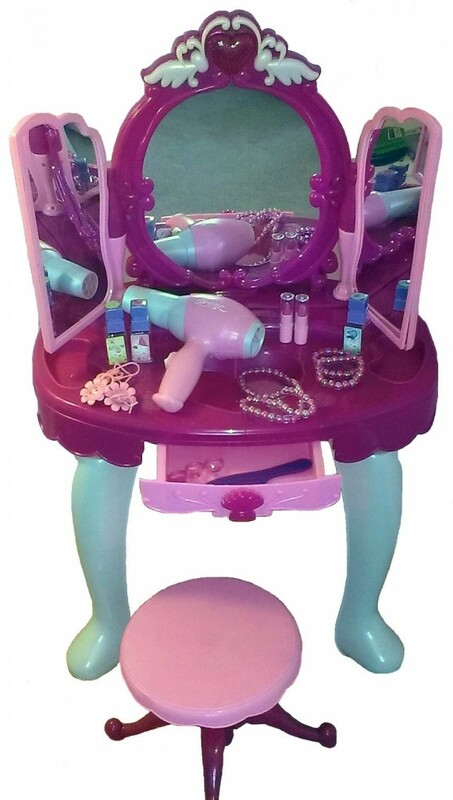 This fairies vanity table for girls is so very sweet!! Just imagine how cute it is going to look in your little girl’s bedroom! Isn’t this pink Disney Princess vanity table the cutest girl’s vanity table you have ever seen? Parents say it is smaller than it looks, so it is actually proper for little girls ages 2 and 3! Disney Princess Ariel Gorgeous Keyboard and Vanity Set! Now it’s time to play with Ariel! 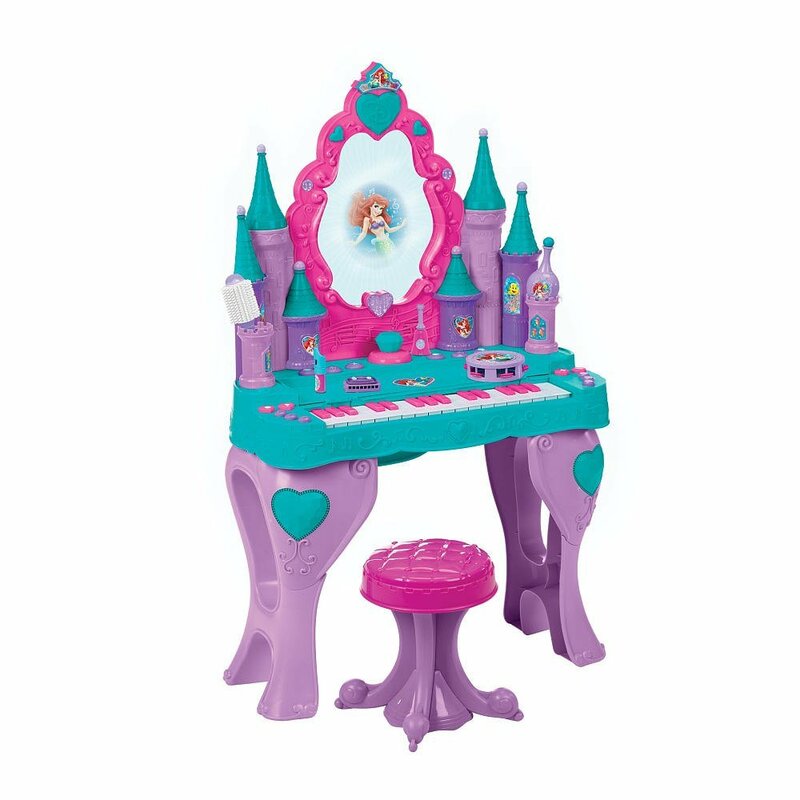 It is Ariel the Little Mermaid cute vanity table and piano keyboard for little girls! Ariel loves to spend hours and hours on a row combing her beautiful hair! 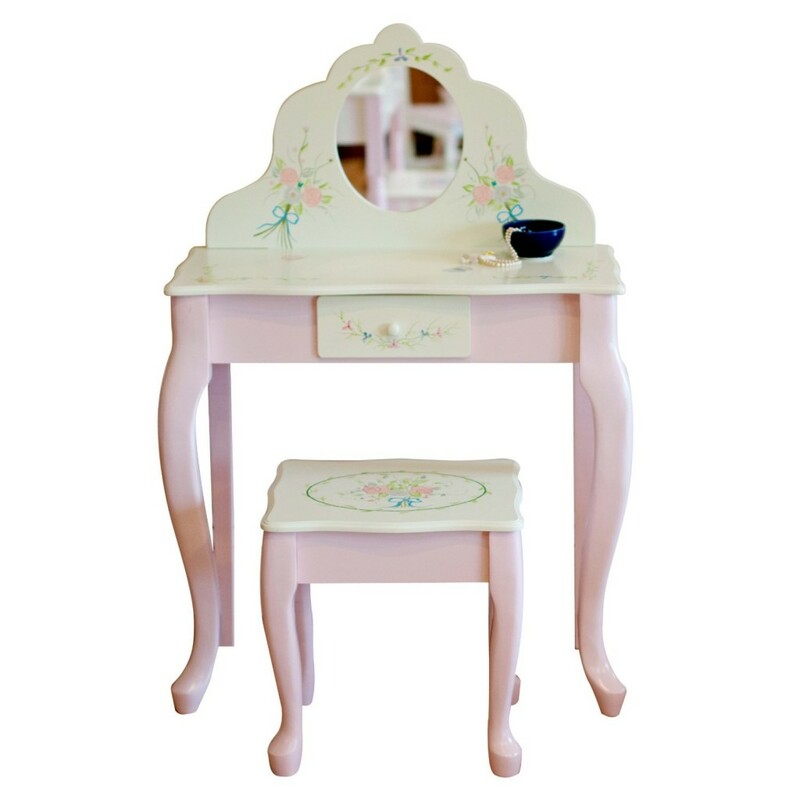 This cute vanity table will interact with your little girl! It responds to children’s voices and at one point Ariel herself will magically appear in the mirror!! And while she gets pretty she can also make music! Parents say it is the perfect Christmas gift idea for their 3 year old girls! 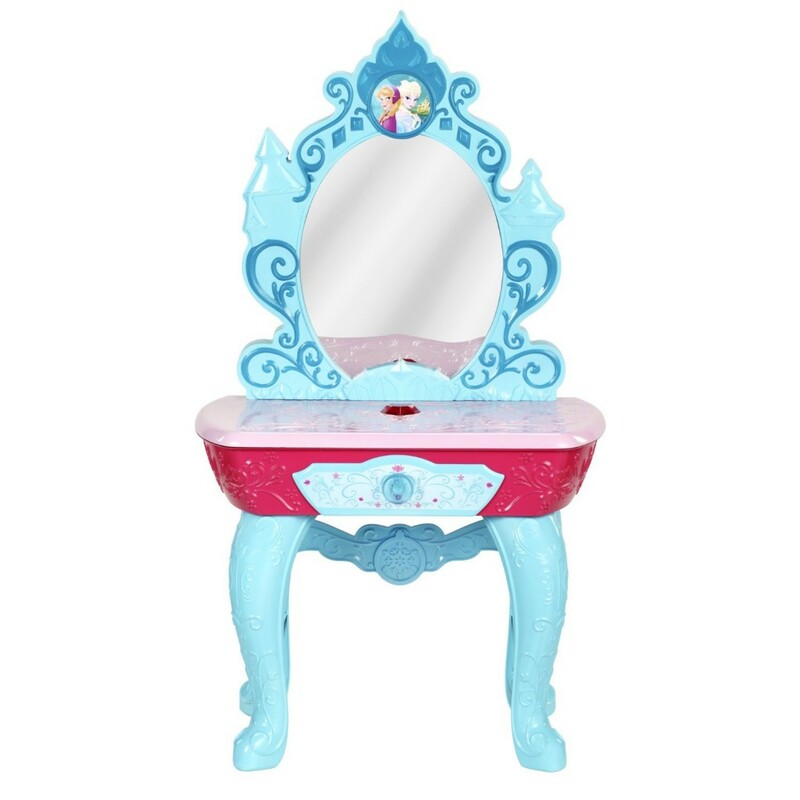 Disney Princess Adorable Cinderella Vanity Table and Mirror! 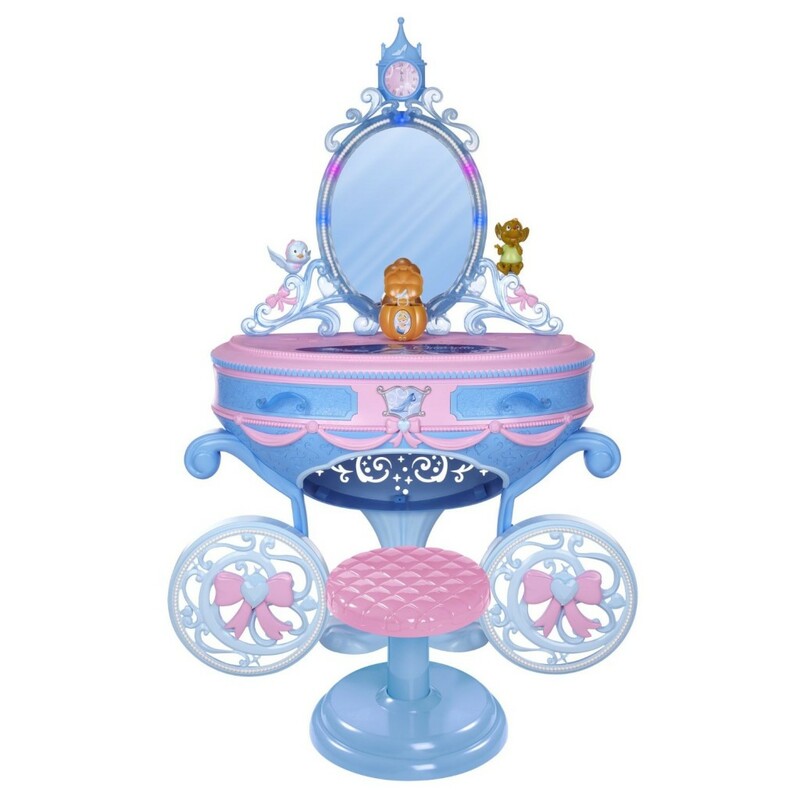 Another cute and adorable Disney Princess vanity table for little girls! It comes complete with Cinderella’s friends and it also has fun color changing lights! 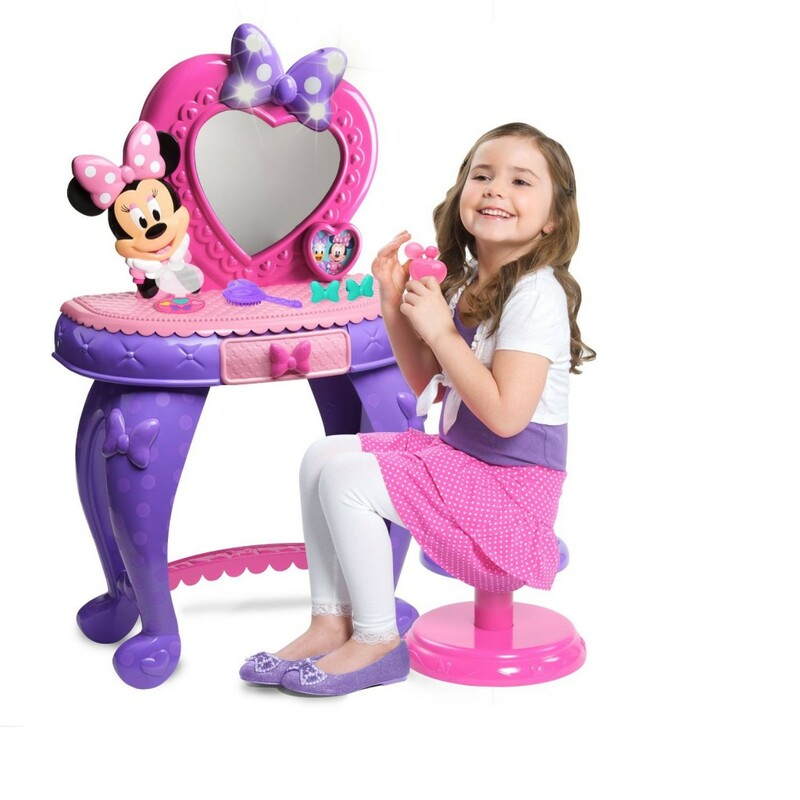 This Minnie Mouse vanity is one of the cutest and most affordable vanity table sets for little girls! Minnie Mouse will say a lot of phrases! I love the cute heart-shaped mirror! Cute Purple Vanity Set for 3 Year Old Girls! Another ultra-adorable purple vanity table set for little girls! There is also a nice working drawer and even a fun blow dryer that really turns on cool air! Your little princess is gonna love blowing her hair with it, just like mommy! It also has cool lights and sounds! 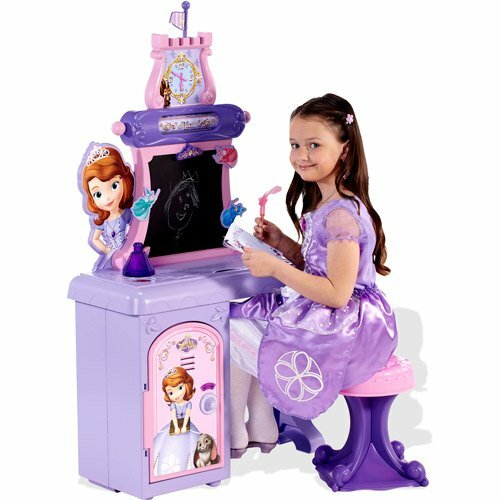 Walt Disney Princess Sofia the First Vanity/School Desk for Girls! Is it a cute vanity table or a school desk? Come play and learn with Princess Sofia! There is also a fun chalkboard and even a fun storage locker! Just like in real school! Of course I could never forget to include a Disney Princess Frozen vanity here too! There is a magical gem on it that when your little girl presses it, Anna and Elsa will appear in the mirror! After that the vanity plays “For the First Time in Forever’! Needless to say after the little girls discover this magical button they won’t stop pressing it! 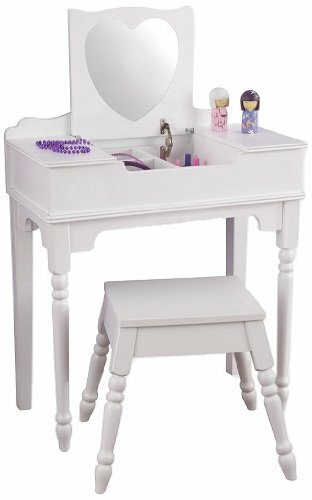 How adorable is this white wooden vanity table for girls with a fun heart-shaped mirror? Classic Floral Wooden Vanity Table and Stool Set for Girls! And last, but not least, a beautiful classic floral vanity table and stool set! It is very pretty and sturdy! Best Gift Ideas for 5 Year Old Girls!